Hendry Marine Industries, founded in 1926 in Tampa, FL, is a holding company owned by its employees and the Hendry family. It consist of various maritime businesses including commercial and government ship repair, stevedoring and marine terminal operations, marine environmental services, sandblasting and coating, and maritime employee staffing. Its major operating companies include Gulf Marine Repair Corporation, Universal Environmental Solutions, LLC, Port Hendry Terminals, Port Staffing, Inc. and Anchor Sandblasting and Coatings, LLC. Watsco, Inc. is the largest distributor of air conditioning, heating and refrigeration equipment and related parts and supplies (HVAC/R) in the United States. Watsco was founded more than 60 years ago as a manufacturer of parts, components and tools used in the HVAC/R industry. Under the leadership of its current CEO, Albert H. Nahmad, from 1973 to 1988 Watsco grew from US$5 million in revenues to US$25 million. In 1989, the company shifted its focus from manufacturing to distribution by acquiring Gemaire Distributors Inc., a South Florida-based Rheem distributor. By 1997, Watsco added other OEMs to the mix and moved into commercial refrigeration as a result of the acquisition of Baker Distributing Company. Watsco divested its manufacturing business in 1998, selling it to International Comfort Products Corporation, now part of Carrier Corporation (Carrier). Revenues increased from US$64.1 million in 1989 to US$4.2 billion in 2016 via a strategy of acquiring companies with established market position and subsequently building revenues and profit through a combination of adding locations, products, services and other initiatives. Manufacturer & supplier of premium windows and doors. Our brands include CGI , PGT Custom Windows & Doors, WinDoor , Western Window Systems and CGI Commercial. Jacksonville is the most populous city in the US state of Florida, the most populous city in the southeastern United States and the largest city by area in the contiguous United States. When you want the best new homes Kissimmee has to offer, call the professionals at Rey Homes and get a consultation today. Absolute Aluminum is an outdoor living company that has proudly served homeowners in the Venice, FL, area since 1988. Click here to learn more! Midway Services offers the best home services in Clearwater. FL - from plumbing and electrical, to HVAC and kitchen/bathroom remodeling. Visit our website for more information! Total Facility Maintenance Experts. Curb to Roof. Coast to Coast. Self-Performing. Contact us today for more information or a consultation 855-751-0075. MCS is a national property preservation and inspection company founded in 1986. We provide mortgage field services including property inspections, property preservation, REO property maintenance, REO Rehab & Repair and more. 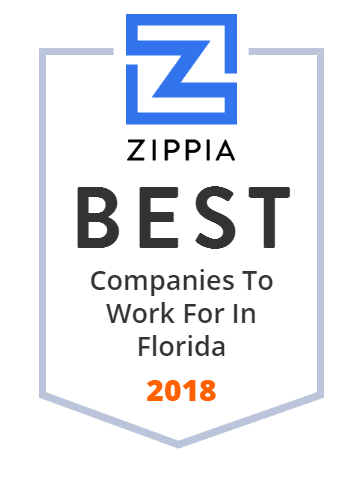 Proudly serving Central Florida with superior workmanship, state-of-the-art equipment and materials, and unwavering commitment to quality and deadlines. Vecellio Group, Inc., through its subsidiaries, provides heavy/highway, mining, and energy services and products to public and private-sector customers in the United States and internationally. It offers heavy/highway contracting services, such as site development, bridge and road construction, drainage and utility structures, coal mining development, and site reclamation; provides grading, asphalt paving, and utilities contracting services; and produces limestone aggregates for the construction industry. The company also designs, builds, and operates port terminals to store and distribute bulk petroleum and fuel products; operates a liquid asphalt and diesel fuel terminal at the Port of Palm Beach in Florida; provides offloading services for petroleum products at Port Everglades in South Florida; and offers logistics and consulting services, as well as fuel additive services to oil companies throughputting petroleum products at deep-water port locations. Vecellio Group, Inc. was founded in 1900 and is based in West Palm Beach, Florida. Providing exceptional products and services for the fluid power industry since 1970. EnviroStar, Inc., through its subsidiaries, distributes commercial and industrial laundry and dry cleaning equipment, and steam and hot water boilers in the United States, the Caribbean, and Latin America. The company also supplies replacement parts and accessories; and provides maintenance services. It offers commercial and industrial laundry equipment, including washers and dryers, tunnel systems, and coin-operated machines; finishing equipment, such as sheet feeders, flatwork ironers, automatic sheet folders, and stackers; material handling equipment comprising conveyors and rail systems; mechanical equipment consisting of boilers, hot water/steam systems, and air compressors; and dry cleaning equipment, including garment presses, sorting and storage conveyors, and accessories. In addition, the company provides boiler products, such as steam boilers, steam systems, and hot water systems for use in the laundry and dry cleaning industry for temperature control, heating, pressing, and de-wrinkling, as well as in the healthcare industry, food and beverage industry, HVAC industry, and other industrial markets for sterilization, product sealing, and other purposes. Further, it licenses the right to use DRYCLEAN USA name to retail dry cleaners; and plans and designs turn-key dry cleaning establishments. The company sells its commercial and industrial laundry equipment and boilers primarily to laundry plants, hotels, motels, cruise lines, hospitals, hospital combines, nursing homes, government institutions, distributors, and specialized users; and dry cleaning equipment to independent and franchise dry cleaning stores, chains, and higher-end hotels. The company was formerly known as DRYCLEAN USA, Inc. and changed its name to EnviroStar, Inc. in December 2009. EnviroStar, Inc. was founded in 1963 and is based in Miami, Florida. Aircom is ready to handle all your air conditioning and heating needs. Available 24/7. Serving Safety Harbor, Clearwater, Dunedin and surrounding areas. Since 1947, Metal Industries has focused on providing the highest-quality products to the HVAC industry and doing so with respect for their customers, their employees and the environment. As an American owned company built on a tradition of integrity and respect, they strive to meet the needs of the HVAC market with a relentless focus on the customer. All Metal Industries products offer best in class lead time and are backed by a tireless support team of industry professionals. UCC Group is a North America wide provider of integrated specialty sitework construction services. Gardner-Gibson is the parent company for several leading brands in the building materials industry. Our companies provide "protection from the elements".